If Facebook's scandals and congressional hearings have got you questioning whether you should post that meme, maybe it’s time to update some of your privacy settings. We’ll show you how to control who can see your profile and what you post, as well as go over how you can improve your privacy on three of the most popular social media platforms. Facebook's privacy settings have always been confusing. Usually buried in multiple menus, it was difficult to make sure your personal data was safe and secure. Now, in the wake of the Cambridge Analytica scandal, which involved a British political consulting firm improperly acquiring data on 50 million Facebook users, Facebook has accelerated the rolling out of a central page for privacy, known as Access Your Information. 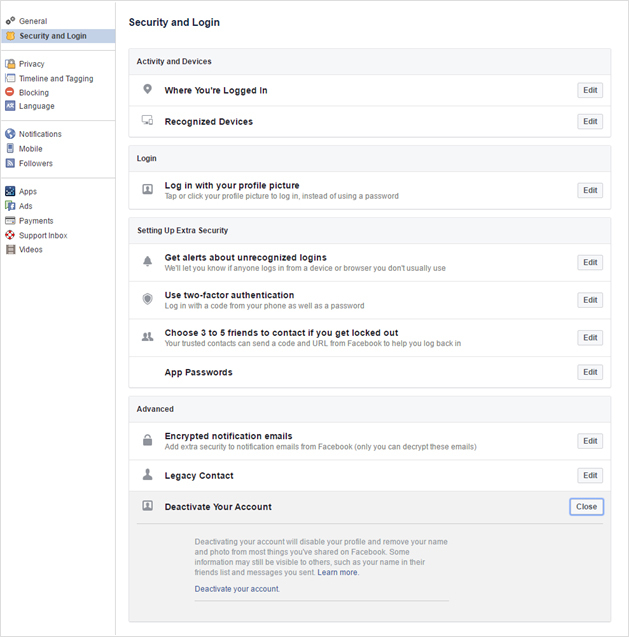 The page does what we all wanted from Facebook in the first place: consolidates all the privacy settings into one page so you don't have to go to 20 different tabs. Outdated and confusing settings have been removed so it's much more clear what information can and can't be shared, especially with third-party apps. There will also be a new Privacy Shortcuts menu, which makes it easier for you to access settings for privacy, settings, and ads. Make your account more secure by activating two-factor authentication, review what you've shared and delete it, control ads that you see, and manage who sees your posts and profile information from the Privacy Shortcuts menu. You'll also be able to download all your data securely from Facebook and even move it to another service. The downloadable data includes photos you've uploaded, contacts you've added to your account, posts on your timeline, and more. Another word of advice is to be careful about which third-party apps you sign into with your Facebook account. Most of the time, these apps require access to your personal information, usually shown as a little notification box that pops up, and we all usually just press "OK." We should all be a little more careful and read what those apps want access to. If it seems like it's too much, resist the urge to press OK.
Deactivating your Facebook account means that your profile won't be visible to other people and people won't be able to search for you. Some information, such as messages you sent to your friends, may still be visible to others. Once you're done with your Facebook sabbatical, you can reactivate your account simply by logging in with your username and password. Your Facebook profile will be completely restored. If you're certain that Facebook is not right for you, you will have to contact Facebook directly to delete your account permanently. Twitter is all about keeping things short and concise. How much damage can you do in 140 characters? Apparently, a lot. That can be a problem, especially since your Twitter account is set to public by default. Also, most of the profile information you provide Twitter will always be visible to the public, like your bio, location, website, and picture. You can't choose to make those private, even in the settings. A workaround to this is to just leave those fields blank so nothing shows up in your profile. Twitter does allow you to choose who can see your birthday, though. If you want more privacy, you can protect your Tweets so only approved followers can view them. If you protect your Tweets, you'll have to approve people who want to follow you. Be default, your profile and posts are visible to the public. That means as soon as you create your account, you should set it to private. Setting your account to private means that followers will need your approval before they can view your posts, your followers, and the people you follow. There are several caveats, though. While your posts are private on Instagram, if you share them on other social networks, they may be visible to the public depending on your privacy settings on those networks. For example, a private Instagram post you share on Twitter may be visible to the people who can see your Twitter posts. Also, if you decided to turn your account to private after being public for a while, any followers that followed you before you went private can still see your posts. You'll have to manually block them. People can still send a photo or video directly to you even if they're not following you. Please note that deleting your account means your profile, photos, videos, comments, likes, and followers will be permanently removed. It also means you can't sign up again with the same username or add that username to another account. 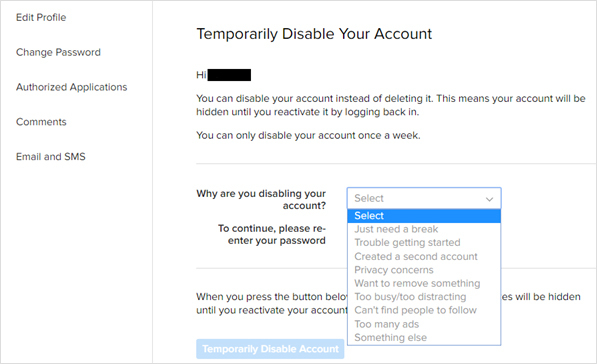 Instagram has stated that they can't reactivate deleted accounts, so make sure you truly want to get rid of your account before you permanently delete it. 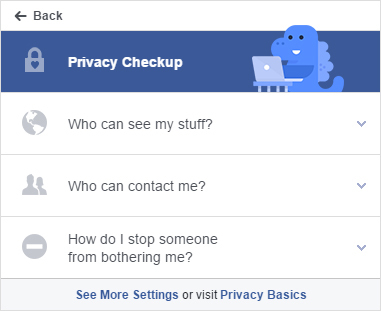 Have you made other privacy and security changes to your social media accounts? Let us know in the Comments section, below.